SymfonyInsight's main aim is to help you manage and increase the quality of your applications. A great way to achieve this is to follow good practices and standards, both from Symfony and from programming in general. 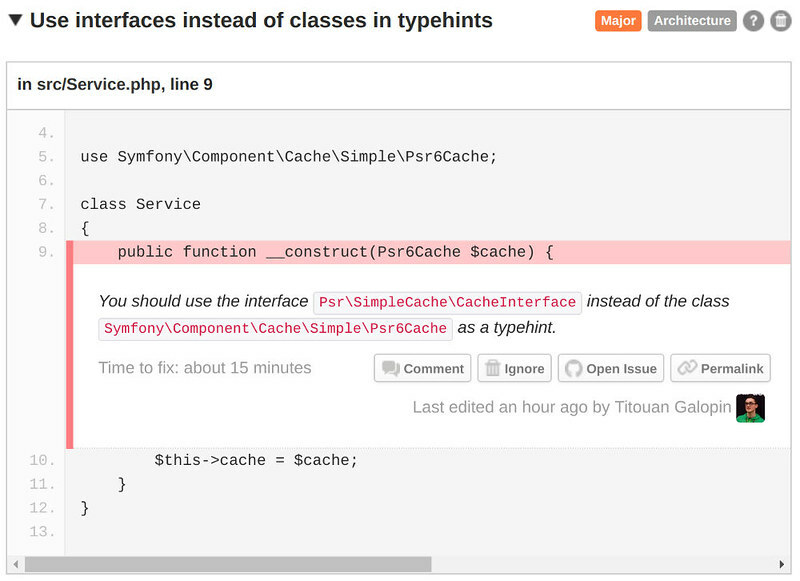 This new rule detects when you could have used the SOLID principles in the context of Symfony by providing interfaces you could have used instead of implementations. This will also help you migrate to Symfony 4 if you need to, as several new features of Symfony 4 are depending on the usage of SOLID principles. Read more about this rule on its dedicated documentation page. And as always, feel free to contact us if you have any question or feedback!